This tea tastes the best after 12-18 years, it becomes soft, full and powerful with scents of humus and forest. Although you can drink her already at this age, the tea will show its true potential after years of storage. In the first years the tea will have a slightly flat taste. 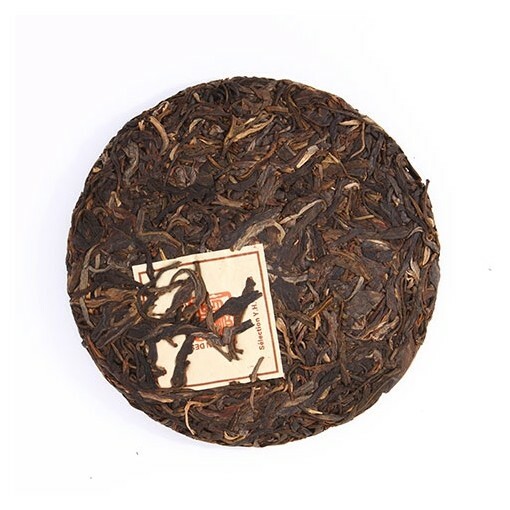 The Pu Er Cake 2009 is a black pressed vintage tea from China. It is grown on a plantation in the Chuang Cheng District, according to traditional methods and especially selected by Madame Tseng. The tea grows on old trees that are more than 100 years old. A vintage tea is a black, fully fermented tea. The leaves were picked in 2009. The tea is made in a small factory in Yunnan, according to the Sheng Cha method. After picking, the leaves are dried until they are flexible enough to be processed. They are rolled by hand to start the oxidation process. The leaves must ferment for a few more hours. Finally, they are baked in convection ovens and stored in jars for maturing. The tea is pressed into blocks with a unique number.